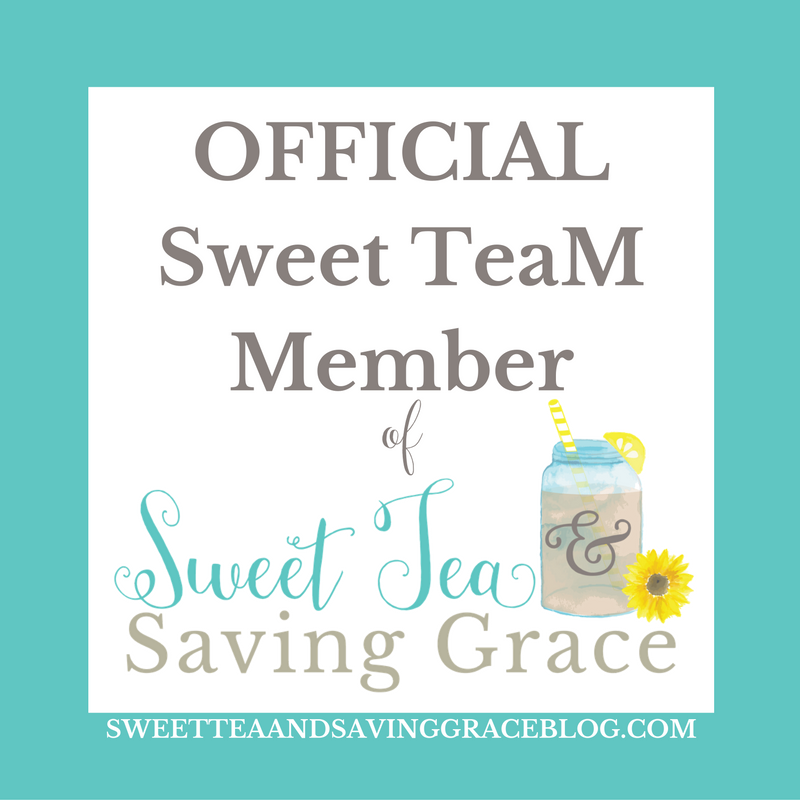 I’m very much on a cookie roll! I had a request for peanut butter cookies, which I haven’t made in forever so I decided to go big with these Ultimate Peanut Butter Cookies. 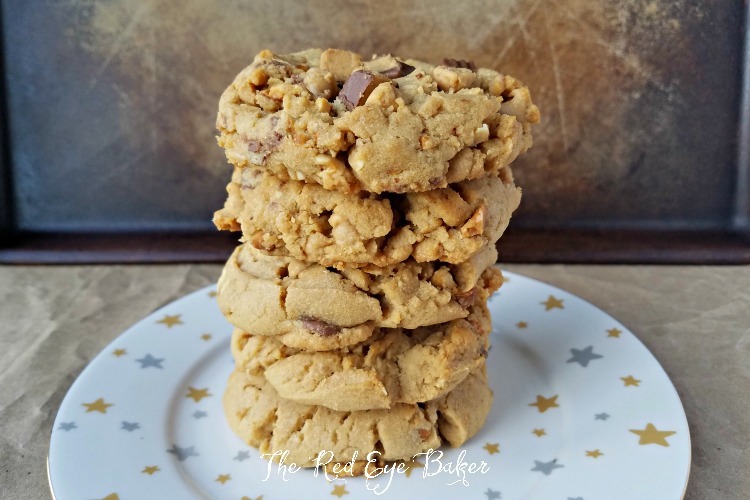 When I began planning this recipe I knew I didn’t just want to make a plain peanut butter cookies. I also knew that I wanted to make a BIG cookie, so my small cookie scoop had to sit this round out. 😉 Naturally where there is peanut butter, Reese’s Peanut Butter Cups are a no brainer. Other than the chocolate from the peanut butter cups I used peanut butter chips instead of using chocolate and chopped honey roasted peanuts. I really wanted this to be all about peanuts. 😀 The result was super tasty! My kids were drooling as soon as they came out of the oven and couldn’t wait for me to take pictures. 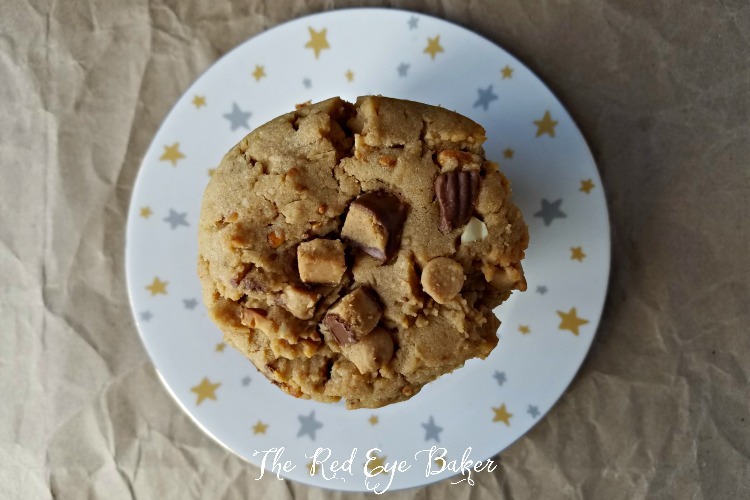 The inspiration for this recipe came from a Dash of Sanity’s Best Ever Soft Peanut Butter Cookie recipe. To make the larger cookies I started off by doubling the recipe. I also added salt because I wanted a little more of that salty/sweet flavor. 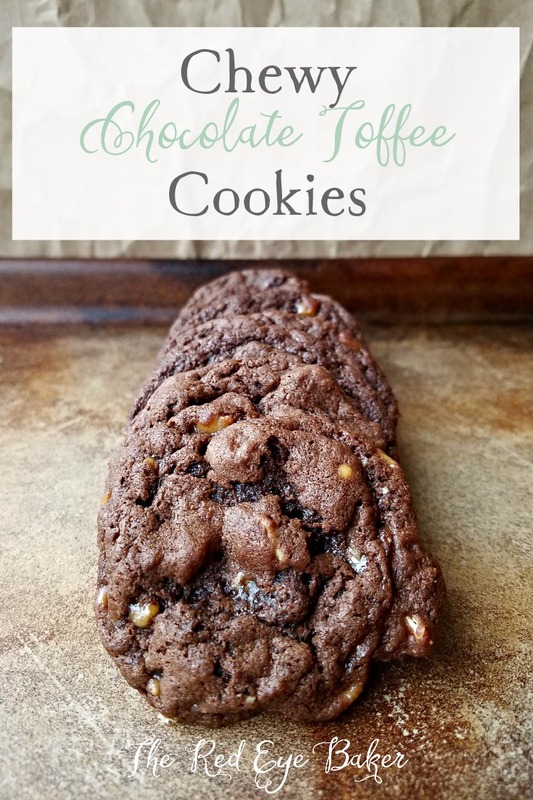 I didn’t double the vanilla since I was adding mix ins that I knew would add to the flavor and the cookies came out tasty of course. 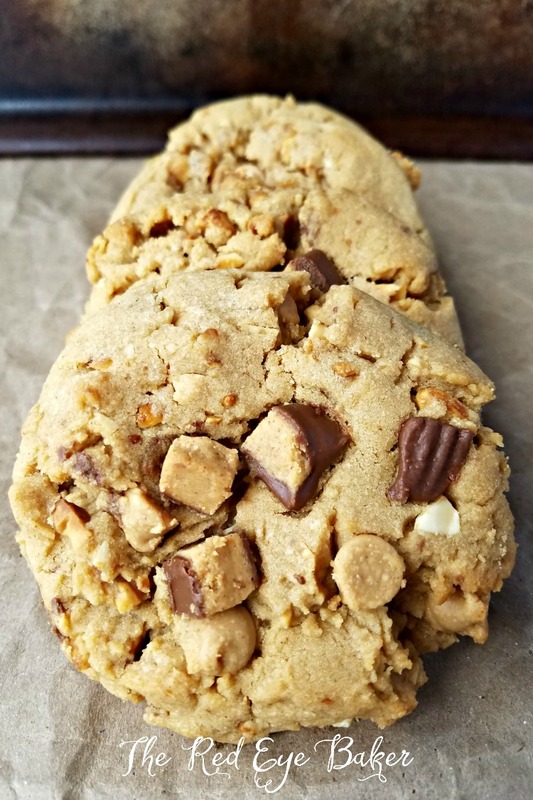 A peanut butter lovers cookie! 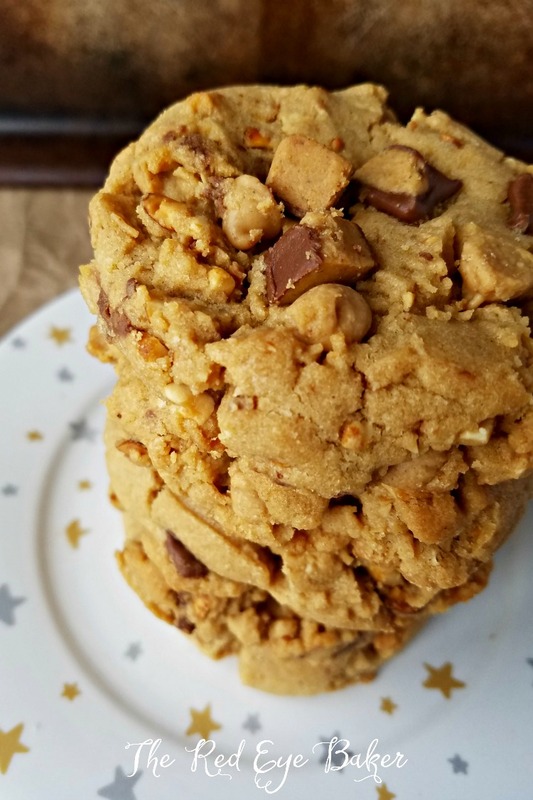 Ultimate Peanut Butter Cookies are filled with honey roasted peanuts, peanut butter chips and chunks of Reese's cups. In the bowl of a stand mixer fitted with a paddle attachment cream the butter and peanut butter together. Add the sugars and beat on medium high speed until light and fluffy, scraping down the sides and bottom of the bowl as needed. Add the eggs one at a time, then add the vanilla and continue beating on medium high speed until light and fluffy, scraping down the bowl as needed. Mix the peanut butter chips, chopped peanuts, and Reese's Peanut Butter Cups by hand using a wooden spoon. Using a large scoop, drop rounded balls of dough onto an ungreased (or parchment lined) cookie sheet. Press a few chopped Reese's (or mini) Peanut Butter Cups into the top of each cookie flattening them out just a little. Store cookies in an air tight container or Ziploc bag. These sound heavenly. 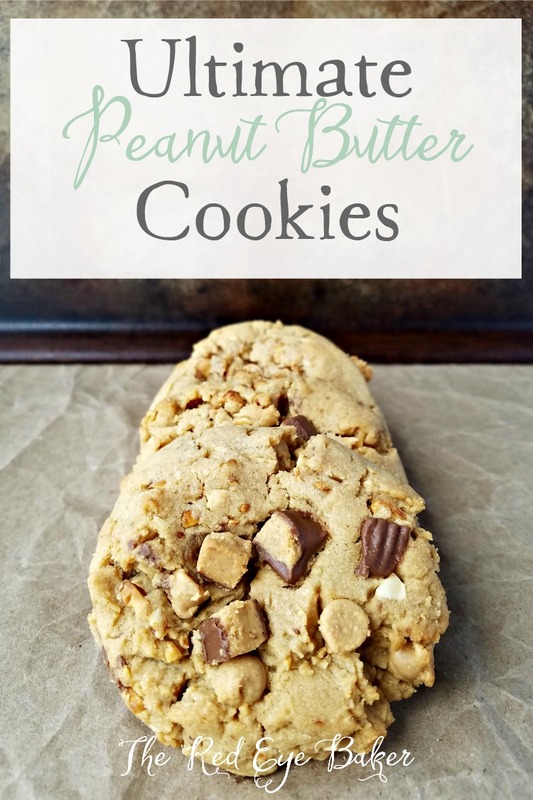 I’m obsessed with peanut butter lately so these are definitely up my alley. 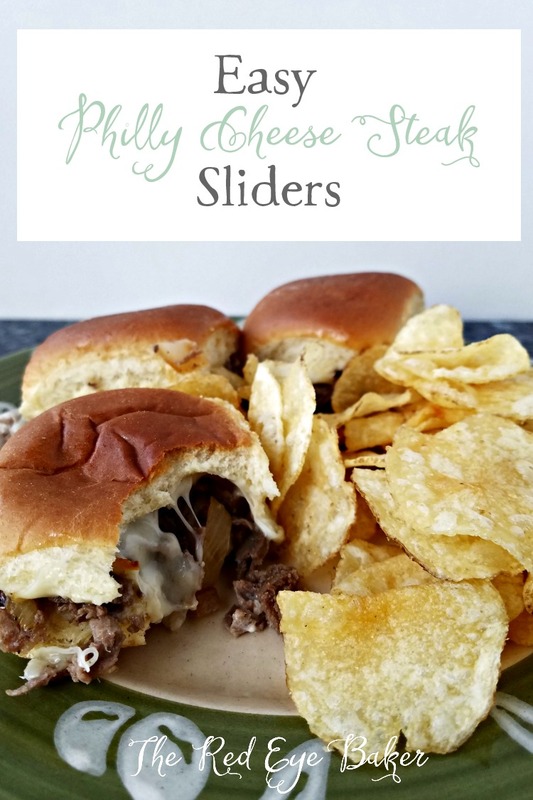 I’m pinning this and plan on making them soon!